The ministry of the Savior exemplifies the two great commandments: “Thou shalt love the Lord thy God with all thy heart, and with all thy soul, and with all thy mind” and “Thou shalt love thy neighbor as thyself” (Matthew 22:37, 39). When we serve our neighbors, we demonstrate our love to Heavenly Father: “When ye are in the service of your fellow beings ye are only in the service of your God” (Mosiah 2:17). Parents help identify the prospective service missionary’s interests, abilities, and talents. They give priesthood leaders and service mission leaders insight into ways the service missionary can serve effectively. Parents also provide input in determining which service opportunities would be the best match for the missionary. They commit to provide the support needed during the mission, such as following up on each day’s activities, providing transportation as needed, covering medical and auto expenses as needed, and offering loving support. Young men and young women who have a desire to serve a mission and are worthy to do so fill out an online recommendation that is processed by the stake president. Based on the information given in the application, including the evaluation of the bishop, the stake president, and medical professionals, a service missionary assignment may be made. The Quorum of the Twelve and General Authority Seventies oversee the mission recommendation process, and a missionary call is issued from the Lord through His prophet. No. All applicants are considered first for proselyting missions. Young men and women who are unable to be called as proselyting missionaries for health reasons will be called as service missionaries. 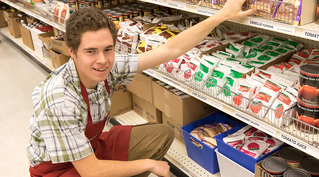 If an applicant is called as a service missionary, the call is from the prophet, and the service is tailored to the applicant's unique talents, skills, and gifts and the local environment. How are service missionaries called? Young men and young women who are unable to serve a full-time proselyting mission are called to be service missionaries. This assessment is made either during the missionary recommendation process or after an individual serves a portion of a proselyting mission and returns home before the expected completion date. A service missionary is called by the Lord through His prophet to serve in an environment uniquely tailored to his or her talents, skills, and gifts. After a young man or young woman has been called to serve as a service missionary, a customized mission matching the missionary’s capabilities is created by the stake president with the help of the missionary, his or her parents, and the service mission leaders. Assignments may be adjusted during the mission. Service missionaries serve at approved community charitable organizations (such as food banks, refugee services, shelters), Church operations (such as storehouses, canneries, temples, seminaries and institutes), or in assignments from their local Church leaders. Service missionaries live at home and serve locally. In some rare cases, service missionaries may receive permission to serve away from home while living with relatives. In no circumstance do service missionaries live alone. Although service missionaries do not have companions like proselyting missionaries do, their safety and well-being are top priorities. The stake president and parents ensure that there is appropriate support, supervision, and protection during the service missionary’s daily service schedule. Where applicable, service mission leaders may create companionships for missionaries who are serving at the same location or for special service activities or gospel study. Yes. Service mission leaders provide appropriate leadership development opportunities to missionaries as a part of their mission experience. These include zone leader, district leader, and other leadership roles for both sisters and elders. No. The service missionary should transition into employment or post-high school training or education.